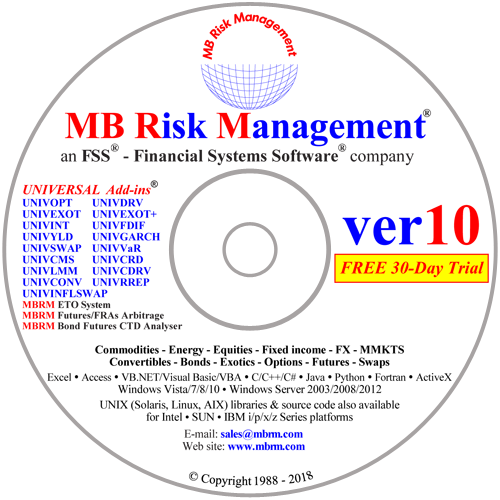 MBRM are pleased to announce a new module in their Universal Add-ins range. The module calculates and analyses property derivatives. A free no-commitment 30 day trial is available for supported users of our UNIVSWAP - Universal Swap Add-in. Users interested in taking up the 30 day trial should send a request to our Sales Team.